Service Change Will Allow for Track Inspections. Long Island, NY - April 16, 2014 - The Long Island Rail Road will perform mid-day track inspections between Huntington and Port Jefferson on Tuesday, April 22, and Wednesday, April 23. Crews will use an advanced Sperry rail car that can detect metal fatigue and faults beneath the surface of the steel rails. Defects that are found will be corrected immediately by a crew of LIRR track maintenance workers. The Sperry Rail Car is used twice a year to inspect approximately 500 miles of LIRR track. As crews perform the inspections and any repairs, buses will substitute for eight mid-day trains on Tuesday, April 22, and six mid-day trains on Wednesday, April 23. About 740 passengers will be affected each day. Details on the alternate service follow. Customers traveling to Greenlawn, Northport, Kings Park, Smithtown, St. James, Stony Brook and Port Jefferson should board their normal trains and will transfer to buses at Huntington. Customers will arrive at their destinations up to 26 minutes later than normal. On Tuesday, April 22, buses will substitute for four eastbound trains that normally depart Huntington at 10:24 a.m., 11:52 a.m., 1:24 p.m. and 2:52 p.m. On Wednesday, April 23, buses will substitute for three eastbound trains that normally depart Huntington at 10:24 a.m., 11:52 a.m. and 1:24 p.m.
Customers traveling from Port Jefferson, Stony Brook, St. James, Smithtown, Kings Park, Northport and Greenlawn will board buses that will travel to Hicksville for connecting westbound trains. 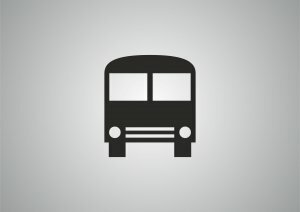 Local bus service will also be provided between Port Jefferson and Syosset. Customers will board buses up to 17 minutes later than their normal train departure time, and should anticipate up to an additional 35 minutes travel time (depending on destination). A special timetable offering bus departure times and train connections will be available at mta.info/lirr. On Tuesday, April 22, buses will substitute for four westbound trains that normally depart Port Jefferson at 10:10 a.m., 11:36 a.m., 1:10 p.m. and 2:37 p.m. On Wednesday, April 23, buses will substitute for three westbound trains that normally depart Port Jefferson at 10:10 a.m., 11:36 a.m. and 1:10 p.m.
Subject: LongIsland.com - Your Name sent you Article details of "Buses Substitute for Mid-Day LIRR Trains Between Port Jefferson and Huntington on April 22 & 23"